Mr. Cat, one of the leaders of the Asian esports market, is becoming the general partner of Virtus.pro. As per the new agreement, the company's logo will be displayed on the players' jerseys, social media, and the team's website. Furthermore, Virtus.pro and Mr. Cat will arrange mutual online and offline promo-campaigns. Roman Dvoryankin, Virtus.pro General Manager: “Mr. Cat proved their professionalism time and time again over the course of our more than two-year partnership. We are excited to have reached a new stage in our relationship. We are proud to be able to name Mr. Cat our general partner”. Garry Chen, Mr. Cat CEO: “Since 2017, Virtus.pro and Mr. Cat have been writing a remarkable story together, and we are very excited for what the future has in store for us. 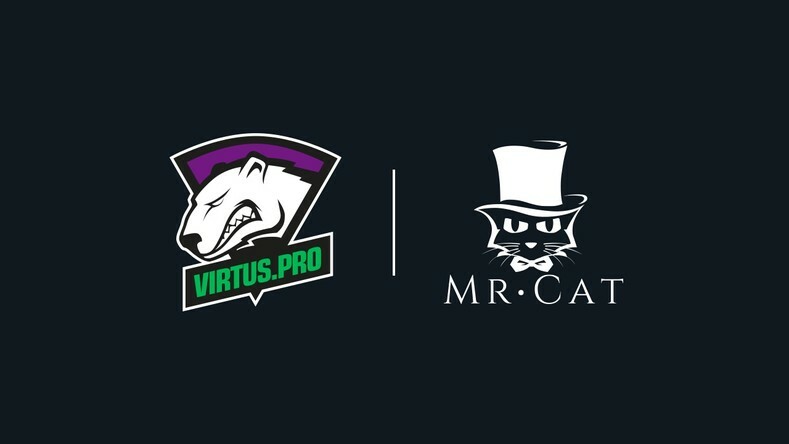 Through the sponsorship renewal, we couldn’t be happier and prouder to announce our general sponsor, imprinting our name, Mr. Cat with one of the greatest esports clubs, Virtus.pro. We will bring a more exceptional experience for our members in the heart and spirit of Virtus.pro”.